Apex Mountain is a relatively unknown smallish resort near Penticton, BC. 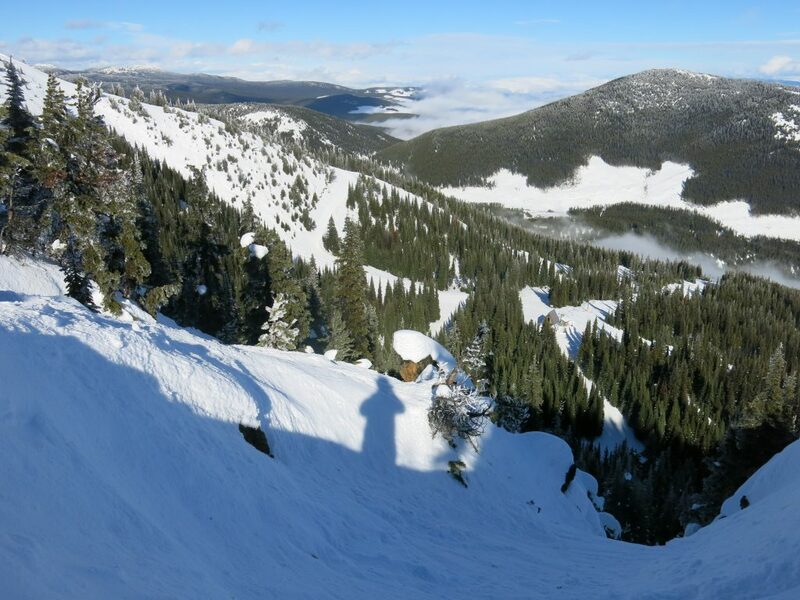 It’s the value option in the Okanagan region mostly visited by locals, but don’t let that fool you because Apex is one of our top discoveries of the project. 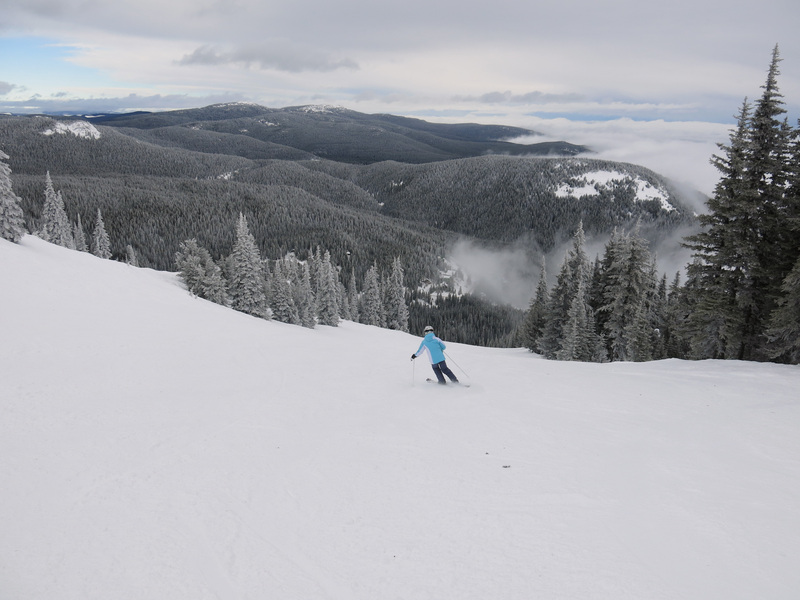 Apex Mountain was at the very bottom of the list of Western resorts and even dropped off for a few months as the list was refined. 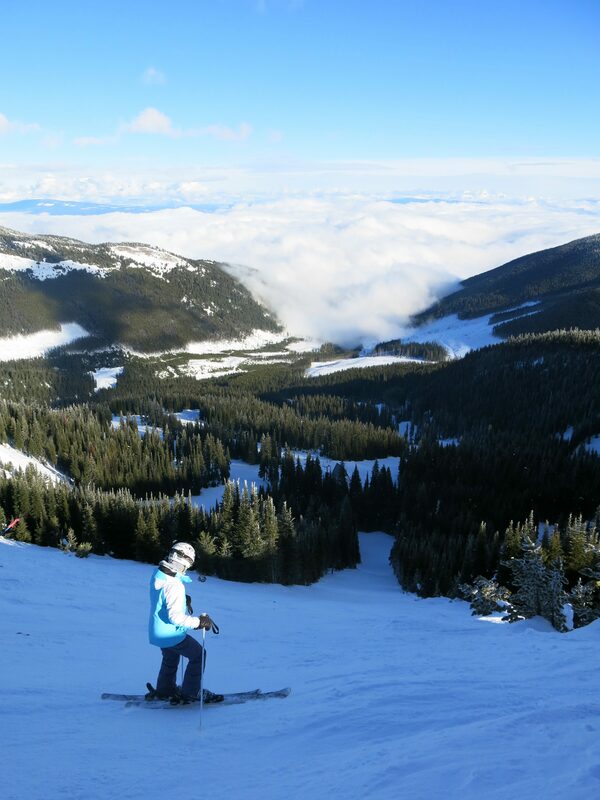 I had never heard of it, and the stats are low compared to most other Western resorts. It’s a good thing we added it back though, because Apex was the best new resort we skied in 2016/17. The day before we skied it, we drove up from Mt. Hood. It rained hard all day until we got to the Canadian border which is just south of the resort — even at relatively high elevation. 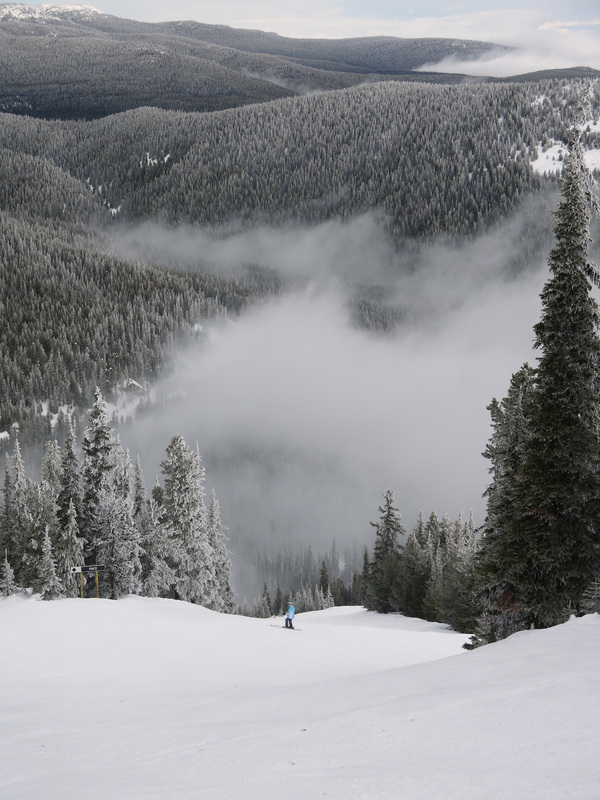 Apex was just high enough and just far enough north to escape the rain and in fact there was about 2″ of fresh snow for us. The base is a little higher at Apex than some of the other resorts nearby, and it faces mostly north, so even though snowfall is below average, snow quality is better. 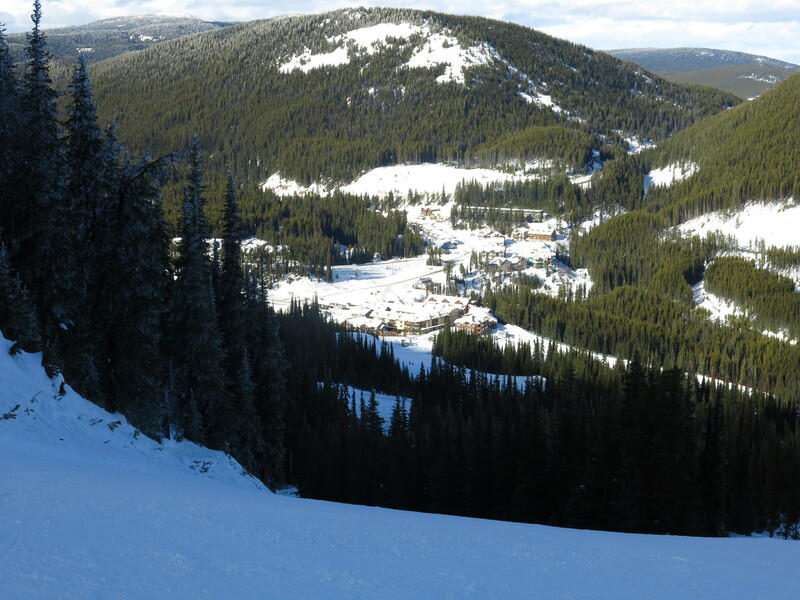 We skied Big White and Silver Star after Apex and both of those were icy at the bottom due to rain and sun. On the drive up from Penticton in the morning I wondered if we were going the right way because there was nobody else on the road, there were no vacation homes along the way, and only a couple of small signs separated by miles of empty poorly plowed roadway. With some relief we eventually arrived at the village where there were lots of homes and maybe 20 cars in the parking lot. Every person we encountered at Apex was super friendly. 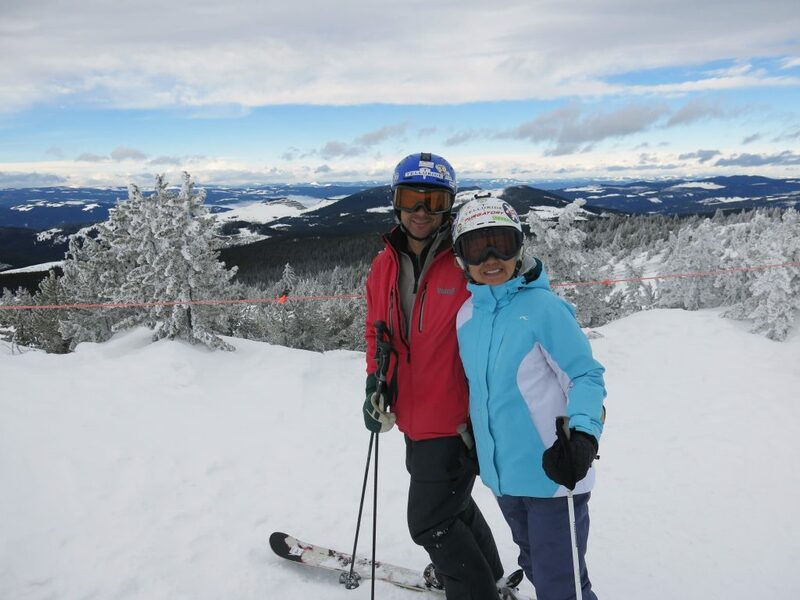 The person in the ticket booth asked us where we were from and when we said “California” he was thrilled that we had come all that way to ski Apex. The village is tiny but has everything you need including a couple of restaurants and shops. Later in the day we went to a popular cafe their that had fresh pie. We are always on the prowl for these places because A) We love pie, and B) These tend to have better food and a better atmosphere. A lot of people in the cafe seemed to know each other and the shop employees so it was very much like where I grew up skiing in Western New York at the small club ski hills. Apex has only 2 real lifts because one is a T-bar (wasn’t running) that serves a short hill used for racing and the other is a magic carpet. The main one is a bottom-to-top high speed quad called “Quickdraw”. 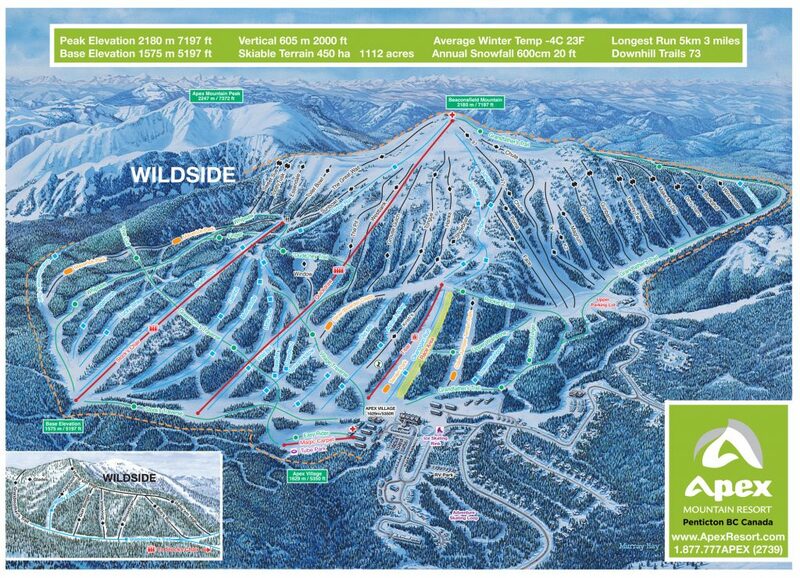 You can ski most of the mountain from that lift and it’s a very efficient lift layout. We spent about 75% of our time on that one. After escaping the ice on Mt. Hood we were happy to finally find some soft snow and we spent a lot of time off-piste on the steeper blacks right under the lift line on the face of the mountain. I had wondered if there was something wrong with the snow there because there was nobody else skiing it, but it was great. 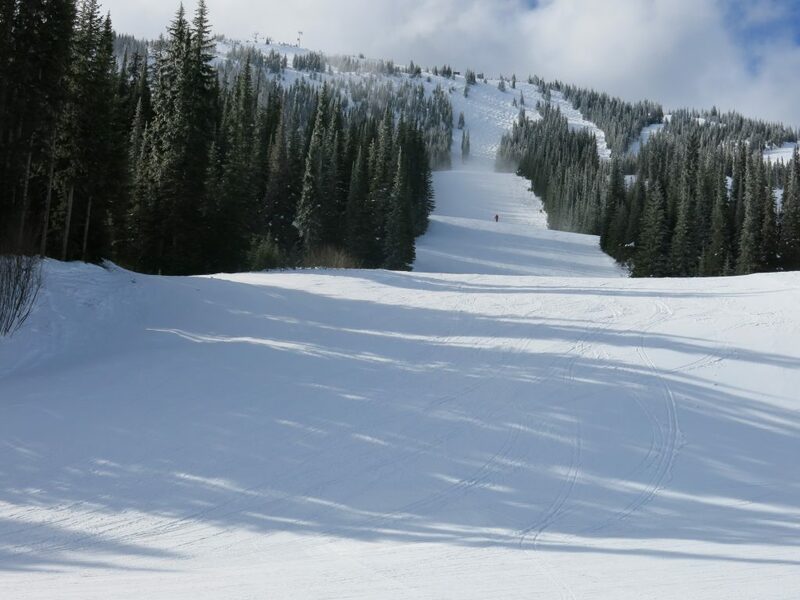 Another strength of Apex is the excellent steep groomers. The trail ratings there are spot-on and they groom most of the blues and some of the less steep blacks like Poma and Chute. 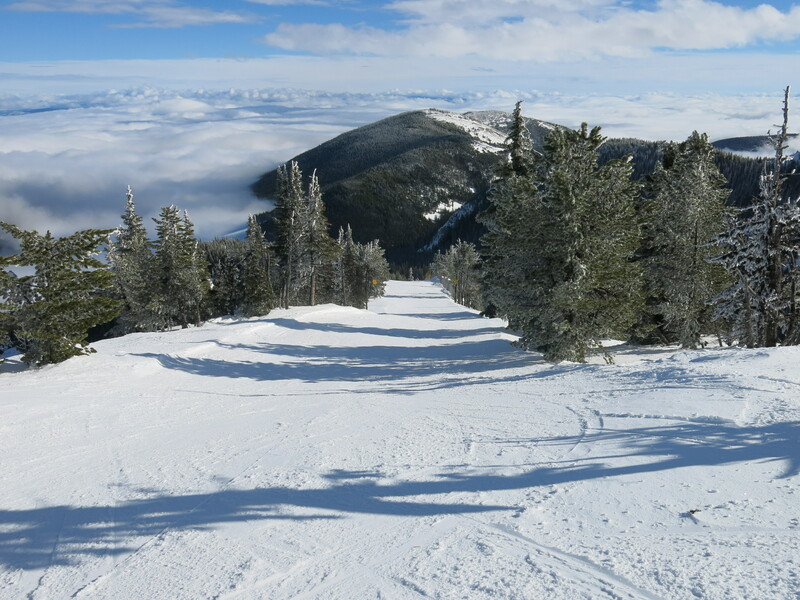 Unlike other resorts, a run groomed 2 days ago is still very smooth, and we were finding undisturbed snow on groomed runs at the end of the day. 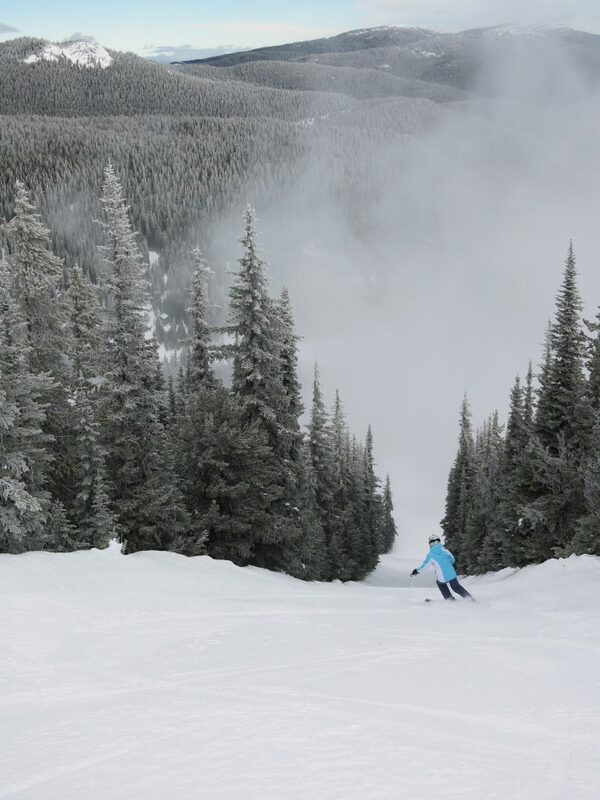 As you continue further west along the main ridge all those runs are ungroomed moguls and trees. The bumps on those were pretty hard so we didn’t spend a lot of time in there, but on a deeper powder day that would be the best place to be. Since there is only one lift serving the entire main mountain there are rapidly diminishing returns the farther west you go, but there are lots of interesting runs in that area. The backside of the mountain is called “Wildside”. 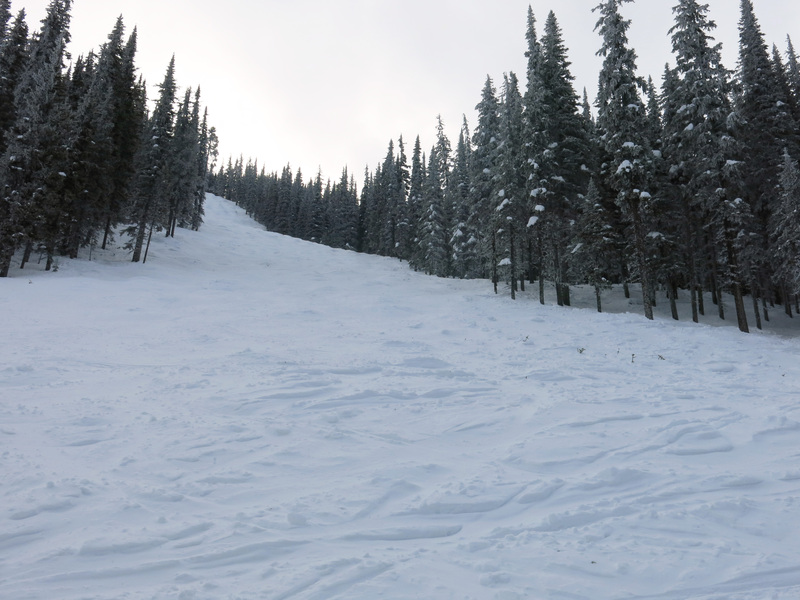 This has some nice glades that would be great on a powder day. It faces south though, so when it’s warm like when we were there the off-piste is going to be icy. We only did one run in that area, but I can see the potential even though it’s a long traverse out of there. 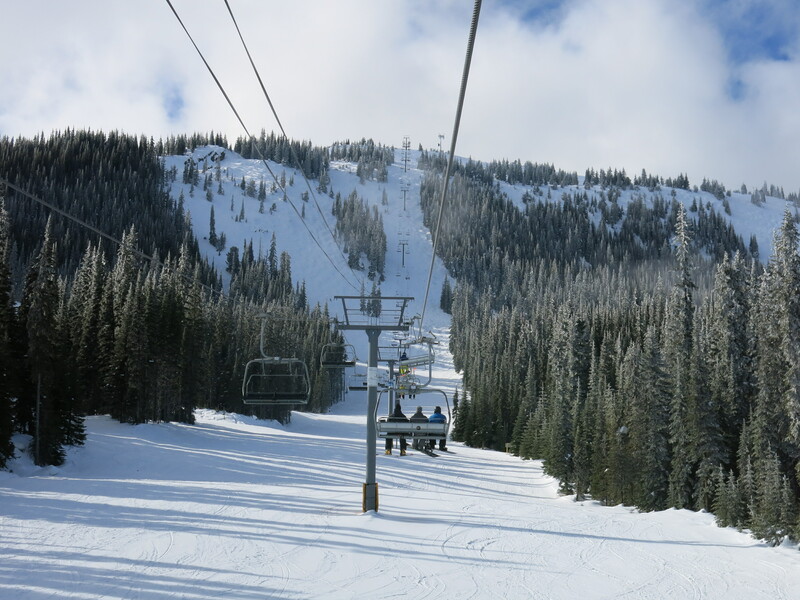 The other main ski pod is the ancient diesel-powered triple chair called “Stock’s”. The terrain there is some of the most ideal intermediate terrain imaginable. Almost all of it was groomed and in perfect shape. This would be an ideal place for another high-speed quad if they ever need more lift capacity, but the old triple does the job and we skied almost all of those. A great long interesting run is to take Great Wall from the top of Quickdraw and ski all the way down to the bottom of Stock’s on Motherload or Gambit. That gets the full 2,000 vertical and exemplifies all the best of Apex. 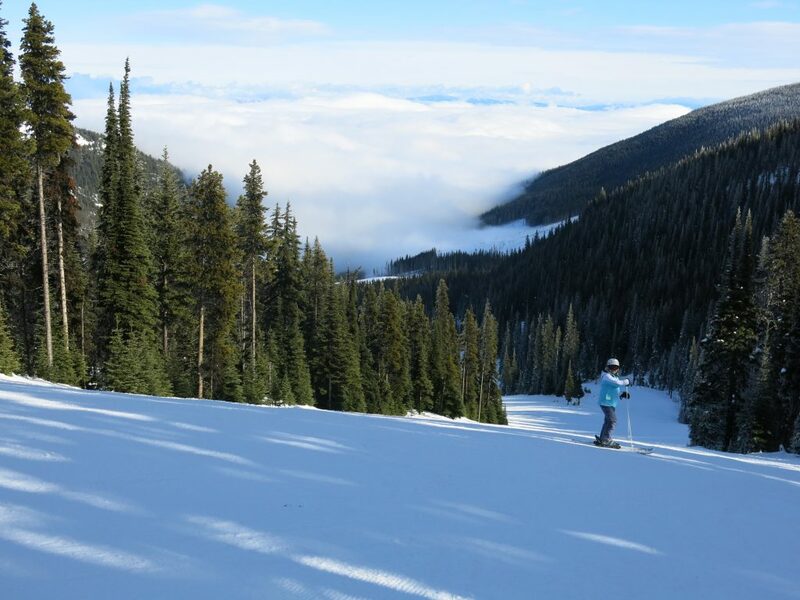 This is a vastly underrated resort that everyone who enjoys uncrowded slopes should visit. This place is a perfect example of why we are doing this project and was a real find for us. We would love to make it back there someday.